Putting humans on Mars might be a distant dream, but in MarsCorp’s dictionary, nothing is impossible. The company is on a mission to explore red plant and also has a group of volunteers who are ready to take the risk. 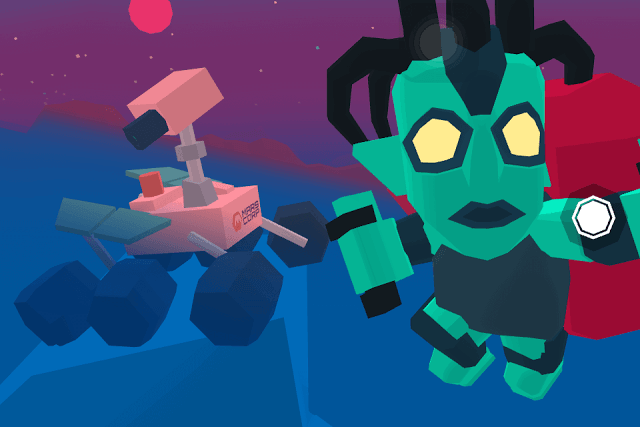 Not only will they be able to explore the planet, but also take selfies with err… rovers and platforms. What’s more, they also have snazzy jetpacks that will make Mars exploration fun, albeit a bit dangerous. A safe landing isn’t possible if you fail to manage fuel properly. When you tap, the astronaut launches up in the air, but then fuel isn’t spent at that time. Once the astronaut reaches a certain height, it’s time to set the flight route right. Tap left to make the astronaut move right. You may even have to press right to align correctly. Don’t keep pressing the screen; else a major portion of fuel will be spent. Light taps will do the trick. Try to use up 50 percent of fuel when setting the right trajectory; you can then use the remaining to ensure a safe landing. Once you have set the flight route, leave it to gravity. But it does not stop here. The astronaut will land pretty quick and crash if you don’t press left and right sides of the screen at the same time to slow him down. You may use both boosters once when the astronaut is about to land, but this won’t guarantee a safe landing. At times, you may have to use both boosters at least twice – once when he starts falling down – and the other when he is pretty close to the landing pad. This way, you can use up the remaining 50 percent of fuel. 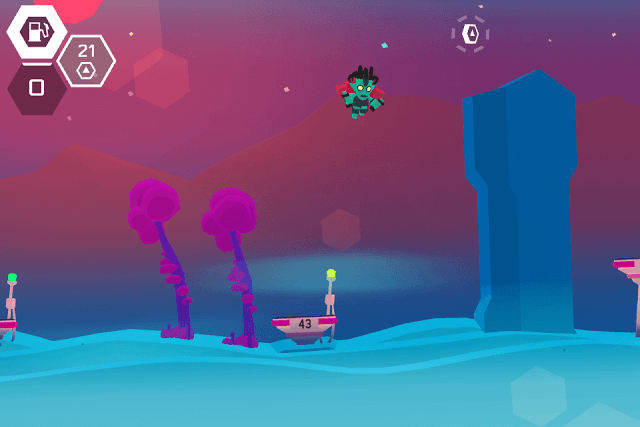 Yes there are colorful trees on the red planet (at least in this game) and they can help you land onto the desired platform or may act as an obstacle. When the astronaut lands on a tree, he bounces off it. You can take advantage of such trees if there’s a coin higher up. Launch the astronaut and then use the left booster to make it land on top of the tree so that he can bounce and go higher up to collect the coin without using extra fuel. A Martian tree can also be used to bounce and fly higher if a big mountain stands between two platforms. Sometimes, Mars: Mars will take let your astronaut take selfies with a Mars Lander, or when he/she is flying mid-air. You can easily spot a selfie opportunity when a camera’s reticle appears on the screen. You will need to be in the middle of the reticle to capture a pic. Many times, you will miss this great selfie opportunity. Worse, you can’t go back to the previous platform while playing. However, the developers are kind enough to give you a second chance. In case you missed one, just tap the button on the upper right corner of the screen and then press the selfie gallery button. It will show those platforms that you have missed. The gallery will also display selfies taken successfully. Tap a blank frame and you will be teleported to that platform. You can also take as many selfies as you want. Just tap a photo and press the “Play Again” button. Noticed the tiny bulb on each platform? Well, it lights up to show how fast the landing is. If the color of the light is yellow, then you will land pretty safe, but a red bulb indicates danger and your astronaut will crash. You may even hear a beep sound at that time. Using both boosters at the right time will keep the yellow light on. The combo meter located below the fuel meter increases by 1 every time you land your astronaut safely. Successive landings without getting your helmet cracked will fill the meter faster and you will be rewarded with coins. With those coins you can unlock a new character. Also, don’t ignore offers and platforms with boxes. Offers are usually video adverts that provide extra coins for watching a 30 second advertisement. Platforms with boxes usually contain plenty of coins.